Driving Under the Influence (DUI) is a crime in Florida but, while many people associate the offense with alcohol, drug use can also lead to charges. A further misconception about drugged driving is that you can only be arrested for a criminal offense if you are under the influence of an illegal controlled substance while driving. The truth is that fully legal prescription medications can lead also lead to DUI charges, so understanding the dangers these drugs pose can help you avoid an arrest. Still, once you are already facing charges, you need an experienced Florida DUI attorney to help you defend yourself in court. An overview regarding prescription medications linked to drugged driving may also be useful. 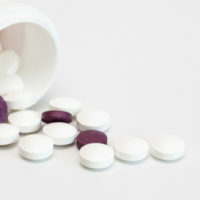 Many prescription drugs consumed for legitimate medical conditions have the potential to cause impairment when it comes to the ability to safely operate a vehicle. Florida’s DUI law looks to whether a driver’s normal faculties are restricted or limited, equating such an impact to driving under the influence. The point is that, whether prescription or not, you put others on the road at risk when your capabilities are impaired by any substance. Others listed on Schedules I through V in the Florida criminal code. The first level of assessing impairment involves police looking for driving behaviors, such as weaving, going too slow, following another vehicle too closely, speeding, or reckless driving. Once an officer stops you for suspicion of DUI, he or she may look for personal mannerisms and behaviors related to alcohol use if there are any indications that your impairment is due to drinking. Once ruling out alcohol after a field breath test, law enforcement may call upon drug recognition evaluators (DRE) who implement a multi-tiered approach to test for suspected drug use. The DRE may review your blood pressure, pulse, and pupils, as well as physical indications like injection marks. Ultimately, use of any alcohol, illegal drugs, or prescription medications can lead police to arrest you for DUI if these substances led to impairment. If you were arrested for DUI based upon prescription drug use, you are entitled to your day in court to present a defense. However, you will need an experienced DUI lawyer to represent you in connection with criminal and administration proceedings. Please contact criminal defense attorney Kevin J. Kulik to schedule a consultation at our Fort Lauderdale office, or with questions about your case.